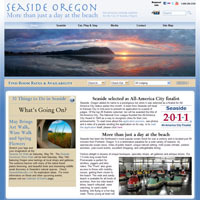 The beautiful coastal city of Seaside, Oregon needed a website that was attractive and interactive. Their site incorporates the best of WorldWide Merchant's content management solution - an onsite blog, event calendar, and a custom programmed lodging and event lookup solution. Our web experts are waiting to help you! Summit Builders is the 19th largest contractor in the southwestern United States. 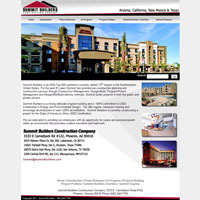 For almost a decade, Summit Builders has trusted their website services to WorldWide Merchant. Their custom designed website includes a private login for contractor bid documents, and a custom flash animation header to show off their work. Summit also uses our monthly website update plan to make sure their site is always fresh and presentable. 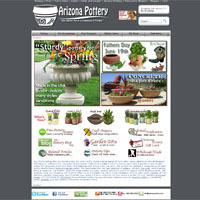 For over a decade, Arizona Pottery has relied on WorldWide Merchant to provide the best e-commerce and content management available. They make extensive use of our built-in search engine optimization tools, and love the marketing bump they've gotten with their onsite blog. What does owner Pam say about WorldWide Merchant? "We'd be totally lost without these guys!" The American Association of University Women advances equity for women and girls through advocacy, education, philanthropy, and research. The Oregon branch of AAUW uses the WorldWide Merchant system to keep their website up-to-date. They've incorporated a member's login area, a membership application form, and more. They also make use of the Site Designer to keep their website fresh and attractive. 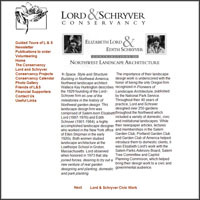 The Lord & Schryver Conservancy wanted a website that's clean and elegant site to match their style. Their informational website site helps the Conservancy keep their members in-the-know, letting them continue their fight to preserve America's exceptional gardens. 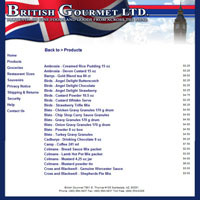 British Gourmet wanted a custom designed e-commerce website that reflected the heart and soul of their company. Puppy Love is a Cannon Beach, Oregon pet shop that provides toys, clothes, and more for your favorite canine friend. They're using their custom designed e-commerce website to expand their customer base from the local market to the world!